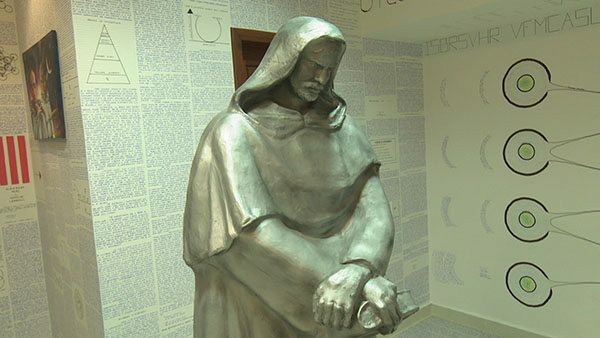 In his room: 14 manuscripts, walls covered in encrypted handwriting, alchemical symbols, alien connections and a statue of a 16th century philosopher burned at the stake for claiming the universe is infinite. Now this is something you don’t see everyday. Bruno Borges, the son of local entrepreneur Athos Borges has recently disappeared from his family home in the Brazilian province of Acres. 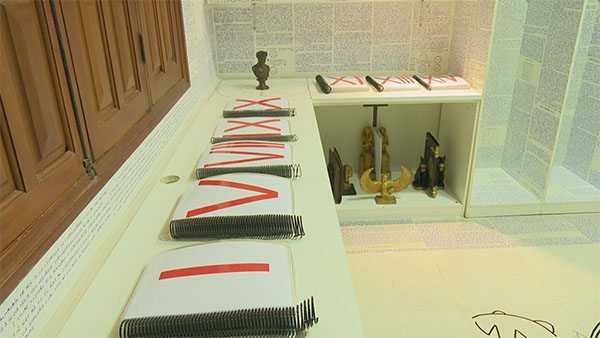 Prior to his disappearance on March 27, Bruno had kept his room locked for a month. 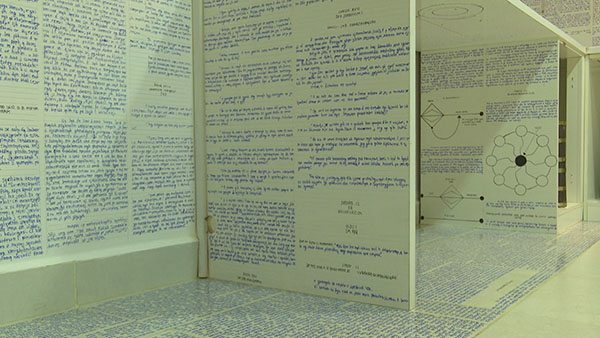 During this period, he covered numerous pages in cryptic handwriting and then covered the walls, floor, ceiling and furniture in his room with said pages. 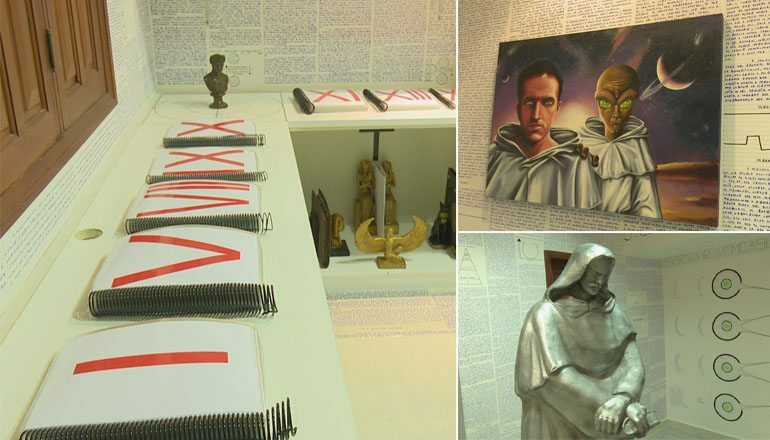 He had also been working on 14 manuscripts, all written in the same cipher. His mother admitted he once told her the books had the power to change humanity in a positive way. 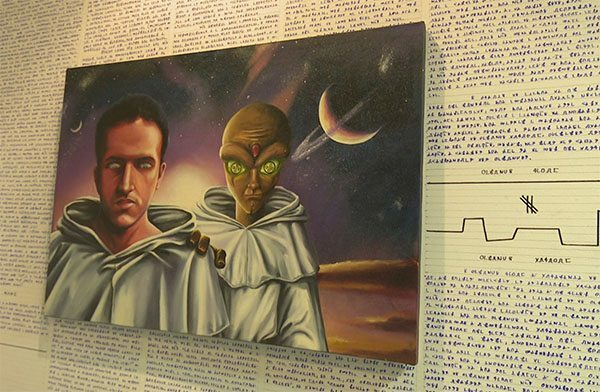 Unbeknownst to his family, the man had also ordered a $2,500 statue of Giordano Bruno, 16th century Italian philosopher and cosmological theorist who was tried for heresy by the Inquisition for claiming stars were actually other suns that had exoplanets revolving around them and that the universe was infinite and without a center. Bruno Borges admired Giordano Bruno for being an enlightened futurist who was willing to die for what he knew was true. Freedom of thought also characterizes Bruno Borges’ work, which is adorned with mysterious alchemical symbols and has impeccable symmetry. “For thousands of years the Human Being has been trying to find answers to such questions as “what is the meaning of life”? The philosophy that is all indicates, seems to have been initiated with Tales of Miletus in the middle of 700 B.C. It aims to find vestiges of questions without answers. Deep search for absolute truth comes from philosophy, and when we speak of respect for easy or difficult paths we are referring to this type of theorem. It is easy to accept what you have been taught since childhood and what is wrong. It is difficult when you are an adult to understand that you have been taught wrongly since you suspected that you were correct. This mystery grows. By his own admission, Bruno had stumbled upon something that reflected the true meaning of life and he was determined to follow it. In his own words, he embarked on a “complicated path” in search of the truth. If he returns, he’ll probably have one hell of a story to tell.